> Brandwatch > Keeping your cool in a crisis doesn’t have to be a nightmare. Let us show you how. When it comes to a crisis, the organizations that recover fastest, with their reputations most intact, are the ones that are the most prepared. 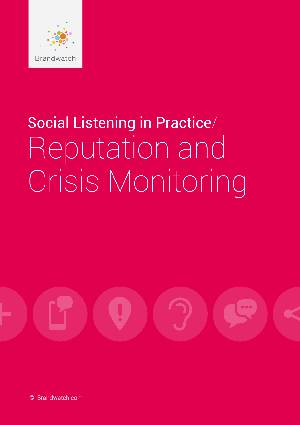 Using real-world examples from Asiana Airlines, Marriott, The Dorchester Group, United Airlines, and Walmart/Asda, this guide explains the four stages of crisis monitoring and response and outlines best practices for organizations of all sizes.